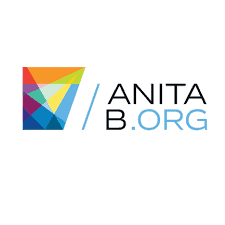 AnitaB.org India, a non-profit organization focused on the advancement of women in technology announced the 8thedition of the Women Entrepreneur Quest (WEQ) 2018. This unique contest is for women entrepreneurs with technology startups in India. The Top 10 winners of WEQ 2018 will each receive an all-expenses-paid experiential learning visit to Silicon Valley, US. During this visit the winners will build connects, receive value-added guidance and get inspiration from some of the best entrepreneurs, investors and mentors in the valley. Women entrepreneurs who have founded technology startups in India are encouraged to take this opportunity and apply for WEQ 2018. For all details visit the site: https://ghcindia.anitab.org/women-entrepreneur-quest-2018/. The applications for Stage 1 of the contest close on 30 September, 2018. The WEQ 2018 Top 10 winners will also get to attend the largest technical conference for women in India, the Grace Hopper Celebration India (GHCI) 18 to be held in Bangalore from 14-16 November, 2018. GHCI 18 will be attended by 4000+ attendees including senior business leaders, government officials, women professionals, entrepreneurs and students in technology. WEQ 2018 is sponsored by the AnitaB.org India and the Department of Science and Technology (DST), Government of India. The Indo-US Science and Technology Forum (IUSSTF) also plays an integral role in supporting and organizing WEQ 2018. The joint partnership has existed since 2014 and is strongly committed to supporting the Government of India’s policies and programs, promoting entrepreneurship among women in India. Quality networks:Visits and meetings with key stakeholders in the Silicon Valley ecosystem such as leading technology companies, startups, investors, officials, incubators, accelerators, universities and so on. Expert guidance:Sessions and deep-dive workshops on important business functions, technology trends and growth strategies from industry veterans, mentors, entrepreneurs and experienced professionals. Great inspiration: Directly interacting and hearing from role models in the Silicon Valley. This is also an opportunity for the winners to showcase their business with some of the best in technology. “Over the years the WEQ Silicon Valley Learning Program has been successful in its objective of boosting the confidence of the entrepreneurs and preparing them to be successful business women. According to a survey we carried out among our past WEQ winners, 83% still continue to pursue the same business and 75% have witnessed an increase in their customer base since their visits to Silicon Valley. The program provides a better understanding of investors, product and marketing strategies, team-building, technology innovation, and other aspects that are vital to grow any business. We hope many more women entrepreneurs come forward and apply for WEQ 2018 this year, said Geetha Kannan, Managing Director, AnitaB.org India. “India and the US have abundant knowledge and talent when it comes to entrepreneurship and technology innovation. The WEQ Silicon Valley Learning Program provides ample opportunity for Indian women entrepreneurs for knowledge sharing and exchange of experiences from the U.S entrepreneurship ecosystem,” added Dr. Rajiv Tayal, Executive Director, Indo-U.S Science and Technology Forum (IUSSTF). AnitaB.org India and DST, Government of India to reward and support women entrepreneurs in India 0 out of 5 based on 0 ratings. 0 user reviews.